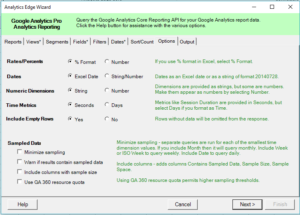 Include Empty Rows: by default the GA API returns rows in some queries with zero results. You can suppress these rows with this option. 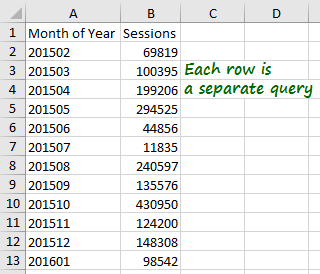 Check Include columns with sample size to add columns showing the sample size and sample space (total number of sessions represented), as well as a True/False column for contains sampled data. 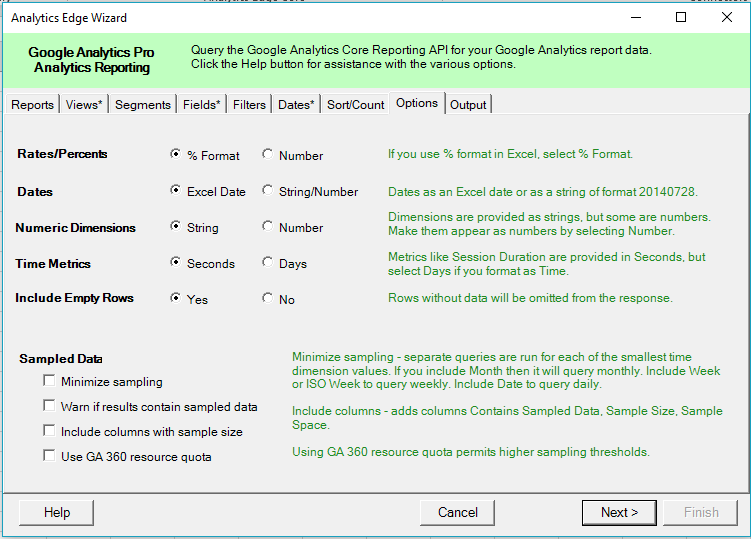 The Google Analytics Pro connector features an additional option for GA 360 customers: enable the ‘Use GA 360 resource quota‘ option providing unsampled reports with up to 100 million sessions. This feature is only available to GA 360 customers and will result in an error for free GA users if selected.